In effect, Hoover Dam would become a gigantic battery. The "living" power capacity storage - called a pumped energy storage facility - would solve some of Southern California's current and future power needs, without relying on the limited durability of lithium-ion batteries used to store power elsewhere. When built in the early 1930s, at a cost of $128 million, the Boulder Dam (renamed Hoover in 1947) was the largest concrete structure in the world. Ice water circulated through more than 582 miles of 1-inch steel cooling pipes installed to help the 4,360,000 cubic yards of concrete to cure properly during the sweltering Nevada build. Using the Colorado River, the dam at the time was the most powerful hydroelectric dam in the world. Currently, it generates 4 billion kilowatt hours of power per year, enough for 1.3 million people in six states. 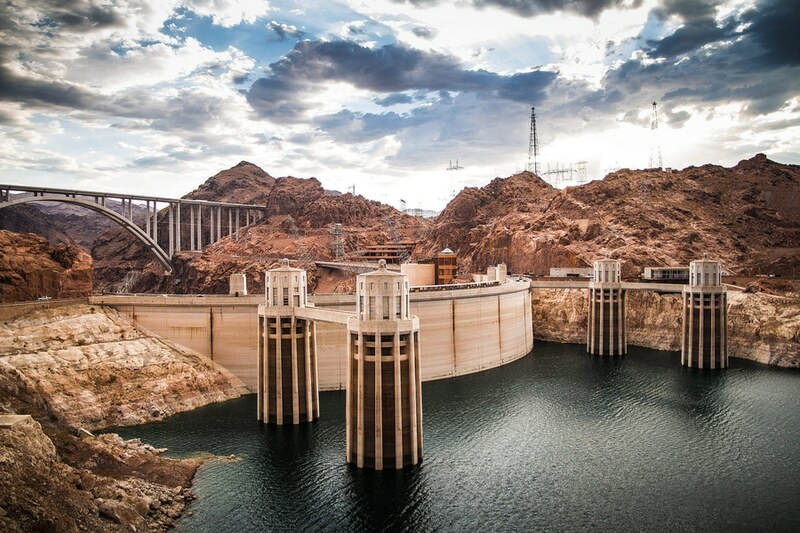 Hydroelectric power has no carbon emissions and is a renewable energy source but water levels of Lake Mead - created when the Colorado River was blocked by the dam - have been falling due to drought. 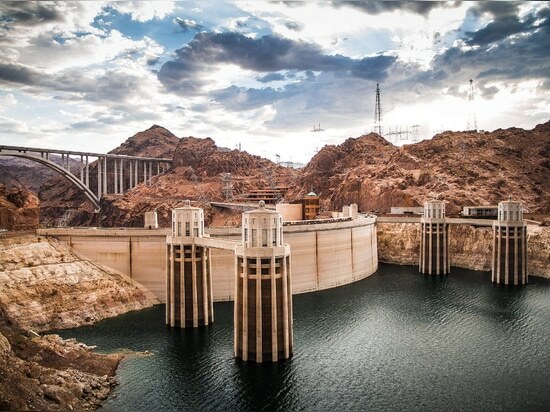 As a result, each of the power plant's 17 generating units with a nameplate capacity of 2,074 megawatts have been derated, so the dam mostly provides power only during periods of peak demand, according to Mark Cook, engineering group supervisor at the Hoover Dam. "We pretty much shut down at night." By adding the downstream pump and pipeline, the "water loop" process could manage the dam's output. The NY Times says this new plan would not involve altering the Hoover Dam itself. The plan proposes to build the pump station about 20 miles downstream from the reservoir with a pipeline that would be built partly or fully underground depending on its location. LADWP says the project would increase Hoover's productivity that now operates at just 20 percent of capacity to avoid releasing too much water and flooding areas downstream. Before the project can begin, the Bureau of Reclamation must agree to it. That means working with environmentalists, local recreational facilities, engineering concerns, and old political issues.